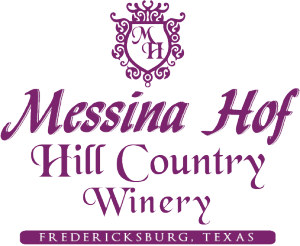 In 2011, Messina Hof Hill Country opened its doors in Fredericksburg, Texas, the second Messina Hof location founded by the Bonarrigo family. The Germanic heritage of Merrill Bonarrigo, wife of co-founder Paul V, adds an architectural influence to the winery while embracing old-world winemaking traditions of Messina, Sicily, from Paul’s family. Here guests indulge in the tasting room and stay on property in the Manor Haus Bed and Breakfast. This is a convenient, first-stop in the Texas Hill Country Winery trail. As a company, the presence and expansion in the Hill Country region reflects Messina Hof’s legacy and commitment to remain a leader in the vastly growing Texas wine industry. Messina Hof Hill Country combines decades of winemaking and hospitality experience in the production of award-winning wines.